Some of Trump’s GOP colleagues have warned that not punishing Saudi Arabia for its role in killing a U.S.-based columnist will have dangerous consequences. Messages left with the Hawaii Democrat’s office seeking further comment were not immediately returned. 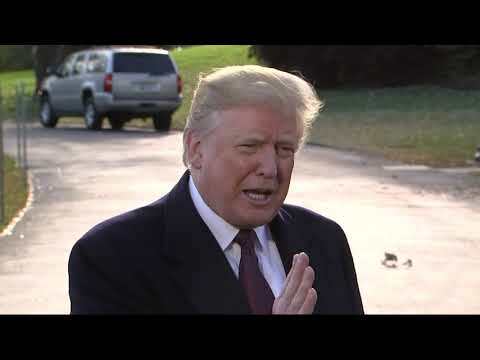 President Donald Trump is thanking Saudi Arabia for plunging oil prices amid criticism over his decision not to further punish the kingdom for the killing of journalist Jamal Khashoggi (jah-MAHL’ khahr-SHOHK’-jee). Trump made clear Tuesday he believes the benefits of good relations with the Saudis outweigh the possibility the kingdom’s crown prince ordered Khashoggi’s killing in Turkey. Critics say Trump is ignoring human rights. Saudi prosecutors say agents sent to Istanbul dismembered Khashoggi’s body. Turkey’s foreign minister says the killing of Saudi journalist Jamal Khashoggi should not be covered up for the sake of maintaining trade ties with Saudi Arabia. Mevlut Cavusoglu also told Turkish journalists during a visit to Washington that Saudi Arabia’s cooperation over the investigation into the killing is not “at the desired level.” He added that Turkey would take formal steps to seek an international investigation if it reaches an “impasse” with Riyadh. Iran’s foreign minister has mocked President Donald Trump’s announcement that he will not punish the Saudi leadership for the killing of journalist Jamal Khashoggi inside the kingdom’s Istanbul consulate last month. Republican Sen. Rand Paul of Kentucky says it’s a sign of weakness not to stand up to Saudi Arabia.